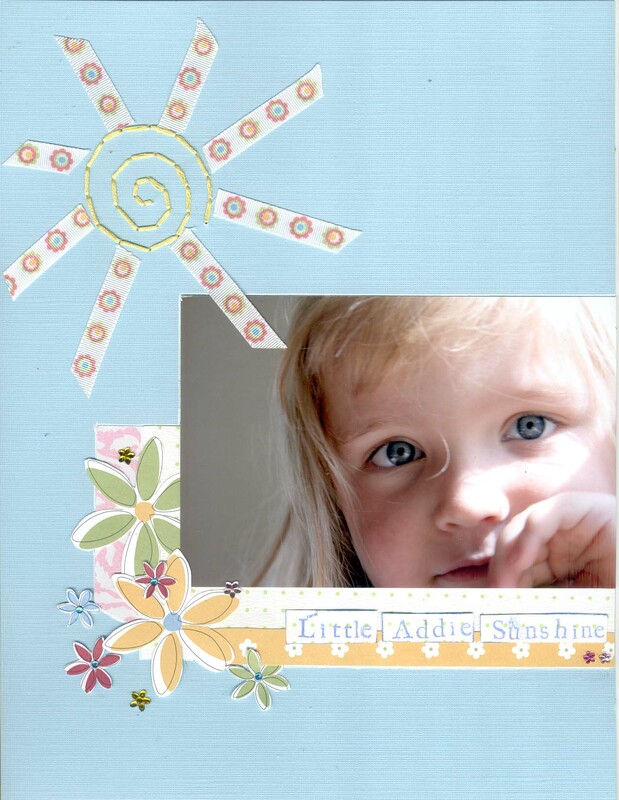 Did a layout this morning of my sweet 3 year old niece Adilyn. I love this photo that David took. I did the photo for a challenge blog and the topic is Sunshine. I thought this photo could not be more perfect for it! This layout is so adorable! Oh you have me motivated. I hope I have some time this weekend. Between working,the gym and trying to get the yard in shape for the Pond tour,I am so busy! !